The phone sports a nearly rectangular design with curved finish at the edges. It has a dimension of 139.6 x 68.8 x 9.4 mm and weighs around 128 gm. The screen measures around 4.7 inch in size with 720 x 1280 pixel resolution and comes equipped with full IPS HD display. Apart from that, it comes covered in a plastic body provided with a glossy finish and is available in three color variants - namely Black, Blue and Grey respectively. Besides a decent design, the hardware also manages to reach the same level with a 1.3 GHz Quad-Core Spreadtrum processor. Also present to complement its 1 GB of RAM, which though sounds inferior but takes care of all the processing of this device. To manage storage needs, the phone has been enabled with an internal storage of 8 GB and up to 64 GB extension via an external micro SD. It features the Android 6.0 Marshmallow OS and comes preloaded with some third-party applications. Talking about the optics, the device has both front and rear camera of 5 MP with flash which enables capturing clear images even under the low light condition. Other sensors present in this device are still not known but is expected to be a proximity and an accelerometer. 4G VoLTE is the biggest plus point of this device which makes it popular to the likes of Jio users. Other connectivity features expected to be in this device are Wi-Fi, Bluetooth, GPS, USB-tethering, FM, etc. It is powered by a 2000 mAh battery, which allows the device to continue up to 200 hours on standby mode in response to a full charge. Hence, it won’t be wrong to say that the Aqua Amaze Plus is a decent smartphone within a low price. Though its hardware fails to make an impact, its strong battery life and 4G functionality uplifts its value. 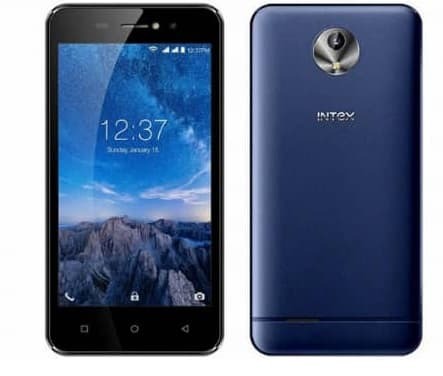 At a price of Rs 6,290, the phone seems fit for those who are looking for a 4G smartphone with a good camera and display features. However, from the company’s point of view, it looks like an expansion plan to reach the masses by introducing a low budget device.